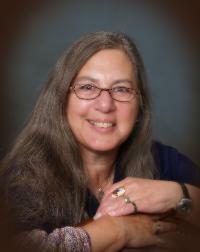 Gail de Vos, B.Ed, M.L.S. In addition to teaching at the School of Library and Information Studies (University of Alberta) where she is an adjunct professor, Gail tells stories and conducts workshops on a wide variety of topics across Canada and the United States. Each year she teaches the following courses for the University of Alberta. All of her courses, with the exception of the Storytelling course, are delivered online. 2005 Winner Award, Storytelling World Award for Telling Tales: Storytelling in the Family, 2nd Edition. 2002 Winner Award, Storytelling World Award for Tales Then and Now. 2001 Award of Merit, Learning Resources Council of the Alberta Teachers’ Association for outstanding contributions made in the promotion of school library programs. 1998 Award of Merit, AMTEC (Association for Media Technology in Education in Canada) for Distant Learning Course: Canadian Literature for Young People in Schools & Libraries. 1997 Honor Award, Storytelling World Award for Tales, Rumors and Gossip. 1996 Canadian Authors Association Exporting Alberta Award for Telling Tales: Storytelling in the Family. Gail de Vos’ speciality is telling contemporary legends to young and not so young adults. But whatever the story, she weaves a bond between herself and listeners, calling up memories and emotions and helping us understand ourselves and the world we live in. Gail de Vos combines the art of storytelling with folktales, both traditional and contemporary, legends and myths, and stories of local history and personal heroes to create unforgettable performances and engaging workshops and clinics. Participants in Canada, in the USA and in Europe have enjoyed Gail’s performances and writing and storytelling workshops at school events, libraries, historical parks, festivals, special events and on national radio. For many years she told stories at Fort Edmonton Park to bring the history of the Edmonton area alive through storytelling and was co-oganizer of the annual Storytelling Festival held at the Park for 18 years.